Well today is a big day at Cityzenith, we are announcing our beta program. 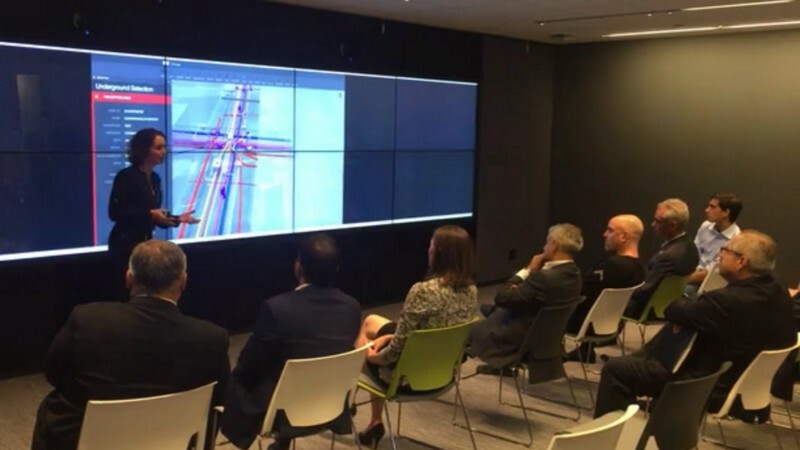 Chicago CIO Brenna Berman presents Cityzenith’s 5D Smart City to Mayor Emmanuel of Chicago and Mayor Khan of London. Cityzenith’s 5D Smart World™, the focus of the BETA User Program, is a complete, web-based Software-as-a-Service platform designed to help AEC firms and Real Estate companies transform their existing investments in BIM and other technologies into valuable tools for aggregating, searching, managing, analyzing, and reusing project information. Designed to help Smart Cities manage the massive amounts of data generated in today’s cities, the platform has been modified and adapted for this Beta Program to suit the specific needs of the professional AEC and CRE communities who design, build, own, and operate Smart Cities, Smart Campuses, and Smart Buildings the world over. We are excited to be working with some of the biggest names in the AEC and Real Estate industries including; AECOM, WSP-Parsons Brinkerhoff, Gensler, SOM, Microsoft, RMW, Accenture, Surbana Jurong, UI Labs City Digital and the GSA. If you’re interested in learning more, please reach out to me or sign up for our beta. We expect to have our public beta in the next couple months so be ready!